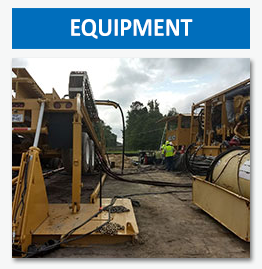 Drilltech, Inc., which specializes in trenchless pipeline installations, has the capability of performing directional drilling work in environmentally sensitive areas, city streets, cross country areas, major river crossings, roadways, railroads, and remote locations. 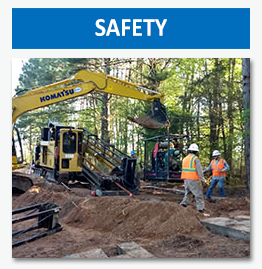 We have experience working with all types of soils including solid rock and fractured formations. We are capable of drilling up to 42” diameter pipe. Drilltech's equipment includes Vermeer D500x500 rig, Power Dynamics Innovations 500 rig, Vermeer 330x300 rig, American Auger DD140 rig, Vermeer 100x140 rig, Vermeer 100x120 rig, Vermeer 24x40 rig, Vermeer 36X50 rig. 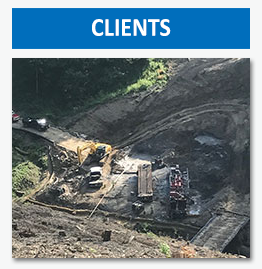 We also have all of the required support and safety equipment, mud systems, vacuum trucks, excavators, frac tanks, pumps, semi trucks, pickup trucks, environmental supplies, down hole tools, reamers, tensor steering tools and navigational equipment.